Cubicle 7 Entertainment and Sophisticated Games are proud to announce that they are jointly developing The One Ring: The Lord of the Rings Role-playing Game. The designer and lead writer of this project, Francesco Nepitello, is a games industry veteran, best known for the hugely successful and critically acclaimed War of the Ring strategy board game, which he designed with The One Ring co-designer Marco Maggi and Roberto di Meglio. A recipient of the International Gamers Award, War of the Ring is recognized by many ‘Lord of the Rings’ enthusiasts and hobby gamers alike as one of the most engaging recreations of the world-renowned fantasy saga by J.R.R. Tolkien. Francesco and Marco are the designers of other immersive board game titles like Marvel Super Heroes and Age of Conan, but started their game-designing careers creating Lex Arcana, the most successful and popular fantasy role-playing game published in Italy. Francesco has designed the new LOTR RPG game system to make sure that players are completely immersed in Middle-earth from the moment they begin creating their characters. As an experienced designer of games based on JRR Tolkien, as well as being a lifelong devotee of the Tolkien works, Francesco brings a dimension -and a depth- to this RPG which has probably never been seen before in a LOTR game. The One Ring: The Lord of the Rings Role-playing Game will be published in the second half of 2010. 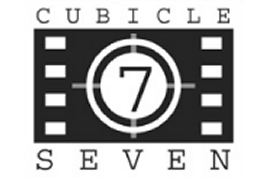 Visit www.cubicle7.co.uk for more information.